BHU Law Entrance 2019: Banaras Hindu University will conduct BHU LLB 2019, which is a university level examination, by the third week of May 2019 to offer admissions for LLB law programme. BHU organizes entrance exams like UET (Undergraduate Entrance Test) and PET (Postgraduate Entrance Test) to make admission in various courses. Students who are looking for admission in any of the UG or PG law courses in BHU can sit for UET or PET examinations. 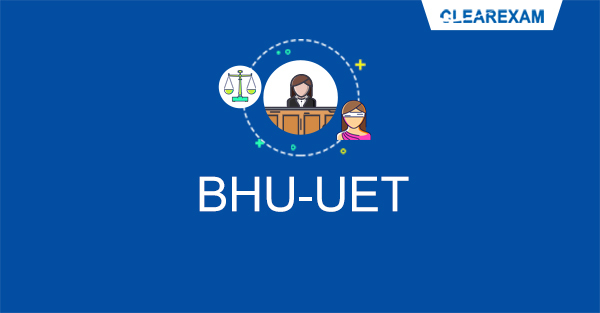 BHU used to conduct law entrance exam separately before but now it has been merged with UET & PET exam. An aspirant of BHU LLB 2019 should have a Bachelor’s degree in any discipline from any recognised university of India. A minimum of 50 per cent marks in aggregate of all subjects in the qualifying degree examination is a must. No age bar is mentioned to appear in the law examination. Students should have qualified BA, B.Sc, B.Com & equivalent exam from any recognized college or university. They should get a minimum of 50% marks in the qualifying exam. Students have to be born on or after 1st July 1987. Candidates who passed or appearing in the 10+2 exams & equivalent exam are eligible to apply. Minimum 50% marks for general candidates, 40% marks for SC/ST and 45% for OBC candidates is required in the qualifying exam. Candidates sure to hold a five year or three year LLB degree from any recognized college. Students must have obtained a minimum of 50% marks to qualify the exam. BHU LLB Exam Pattern 2019 plays an important role for the aspirants preparing for BHU LLB exam. The candidates are highly advised to know, understand and learn the BHU LLB Exam pattern of BHU LLB before getting ready to prepare for the law entrance examination. By the help of BHU LLB exam pattern 2019 aspirants will get a fair idea about which type of questions are asked in the entrance exam and what will be the weightage of the particular section. With the help of this they will make their preparation strategies right and helps in building candidates confidence seeking to score well. As per the BHU LLB exam pattern, candidates will be checked on questions from the sections, like General Awareness and Current Affairs, Common Legal Knowledge, Aptitude and Mental Ability and English Comprehension. The exam will be going for two hours (120 minutes). The exam will be organized offline through pen and paper based mode. Only multiple choice questions are there in the question paper. The medium of question paper will be in Hindi or English languages. The question papers will contain total 450 questions. Each correct answer gains 3 marks. For a wrong answer loses 1 mark. 3) The Hindu diary of events for the year 2017-18 and 2018-19 (for current affairs). Well these materials are more than sufficient. With this a practice of at least 5 mock papers before appearing for the exam can make the job done. It will surely boost up the confidence a lot and will let know as to how to approach the paper.